Step 1 Use a fork to mix together the flour, salt and sugar in a large bowl. Toss the butter chunks with the flour mixture and chill 10 minutes in the freezer. Step 2 Blend the butter into the flour mixture using your fingertips or a pastry cutter until the dough is partly the texture of coarse meal, with some chunks of butter flattened but still whole. When you're three-fourths of the way to this point with the butter, add the shortening, blending it in the same way. In Recipes-list.com we have selected the most viewed recipes from category - Desserts . Enjoy the best recipes specially selected for you! 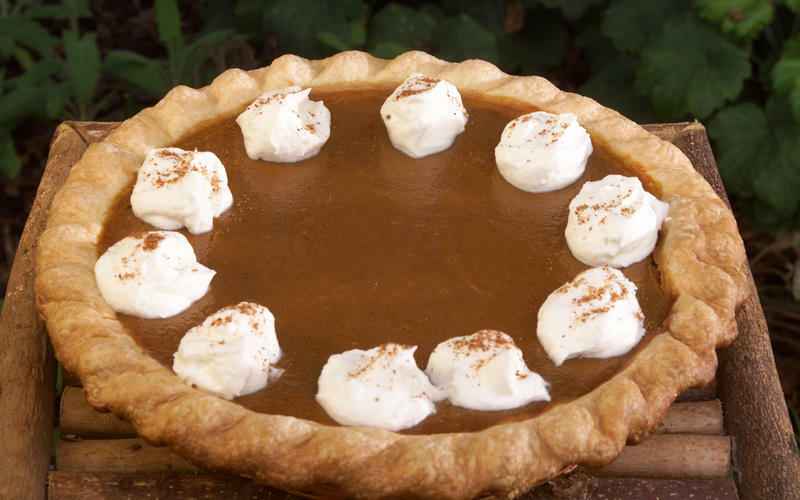 A Veritable Pumpkin Pie is the right choice that will satisfy all your claims.